You may not have heard him at Harvard but more likely through his work on NBC's Dateline TV program in which Tom very competently demonstrated the power of hypnosis to help people lose weight. 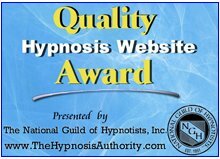 As a published author, speaker, trainer, life coach and consultant to practicing hypnotists Tom's skills and dedication to furthering the Hypnosis profession has been recognized in a variety of ways. 2005 NGH Special Recognition Award “for his valuable contribution to our profession with the inspired introduction of World Hypnotism Day,"
2008 NGH Ormond McGill Award – Presenter of the Year. In recognition of the talents he has to offer the profession of hypnotism, Tom has been inducted into the NGH Order of Braid Council and serves on that organization's Advisory Board. However, despite all the success and recognition, Tom remains one of the most helpful, straightfoward and approachable people you could hope to meet; often ready to lend a quiet hand to help or advise those less experienced than himself. Meet the man behind the awards by downloading this MP3 interview I had with Tom or just listening to it on your computer. It's well worth it. 1. For Windows users, left click your mouse over the above link and select "Save link as" or similar instruction (depends on which internet browser you are using). 3. For Mac users, control click over the link and proceed to "Save link as" or similar instruction. Once downloaded, transfer the Mp3 file to your personal Mp3 player or burn it on a CD in whatever way you usually do that. If you would like to learn more about Tom and his work you can find out more by going to www.prosperusa.com - that’s his practice website and from there, there are links to tomnicoli.com which has all his audio products and links to the New England Institute of Hypnosis, which is his training, blog and podcast site etc. Return from Boston Hypnotist Tom Nicoli Interview to Hypnosis Interview Main Page here. 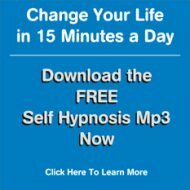 Return from Boston Hypnotist Tom Nicoli to Hypnosis Information Home page here.